If you want to write their own music or create different pieces of music, you can do this using a personal computer. Own musical composition, for example, you can connect with the songs of the popular singers: the effect will be stunning! But first you need to remove the music of modern songs, leaving only the words. - personal computer with Internet access. To remove music from a song can be, at least, two ways. The first is the suppression of frequencies. The principle of this method is based on the fact that the recording disk uses a special format designed to provide higher sound quality: it increases the bit depth and sample rate. And, consequently, for the mute you can reduce the frequency. The second method is the use of special programs designed to create "backing tracks", that is, the separation of words and music. Download "KarMaker": it's designed to quickly create karaoke files. Install this software on your PC. "KarMaker" allows you to create MIDI 1 track, which is a meta-event. Mainly, this program is designed to create the lyrics. However, this program opens the advanced options for working with the user, including and allows you to separate music from words. Download the program "Adobe Audition" and install the software PC. Open the program and load the song in which the words and music you want to separate from each other. Go to the menu program by selecting "Effect", then "Stereo Imagey" and click on the "Center Channel Extractor". Will automatically turn on the plugin window, which will perform additional configuration by removing the music, the sound of the remaining words should be crisp and clear. Do not rush to immediately after downloading to install the program! Check all anti-virus software program. On the Internet there are many programs that are designed to remove music or words, and give extra effects. Surf the net, you will definitely find software that will meet your needs, and most importantly, will allow to realize a dream – to combine their musical composition with words in the performance of popular singers. Sometimes in our life there are situations when we need a minus one of any songs (i.e., music without words). For example, you need to prepare a performance, the creative room to an office party or to congratulate someone from relatives on a family holiday. You can download backing tracks from the Internet, but the problem is that minus your desired song find is not always possible. So here are the instructions how to create a backing at home. Adobe Audition program Download, if you have no courage. Courage Install to your computer. Open the program, set it view – multitrack and drag the file there with the song from which you want to do in the garage. Do this four times to get four tracks. Give your tracks names such as "original", "bass", etc. Double-click on the track "original". Double-click the entire wave of sound in this track, from the top select "Effects" – "Filters" – "Removing center channel". In the window that appears, adjust the volume and width of cut. Evaluate the results using the buttons "View". If you are happy with it, then hit "OK". Now take the next track ("bass"), scroll to it. Select "Effects – Filters – Scientific filters. Here you select the filter called "Butterwort" – "Pass down". Set the frequency to 800 Hz. Click "View" and achieve the result you need, then click "OK". For the track "the middle" click "Strip s.", set the frequency of 800-6000 Hz, cut out the center. For the track "high", press "Skip up", set the frequency from 6000 to 20000 Hz. Cut out the center. Now every track we cut to frequency. We need to combine all the tracks into one. To do this, open the tab "Multitrack", drag all the files in one place. Now hit "Play" (or Alt+P) and listen to what you have got. Using different equalizers, you will have to adjust the resulting cell. 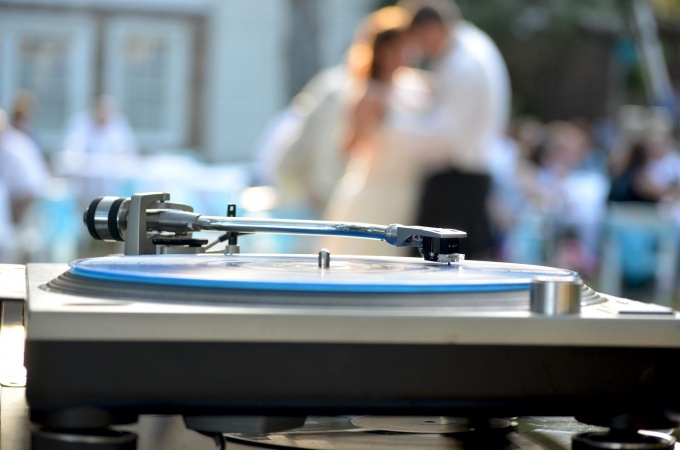 The quality of the backing tracks will not make it to the professional, so if you need a very good accompaniment to any important event, it is better to use the services of an arranger. Minus one – an excellent music track, allowing you to train in vocal exercises, singing karaoke, cook a variety of shows and musical performances. However, it is not always possible to find a suitable cell on the Internet, and the person thinks, how to extract ringtones from voice the party. In this article we will discuss how to separate vocals from a soundtrack in the best quality, to get only the melodic composition. 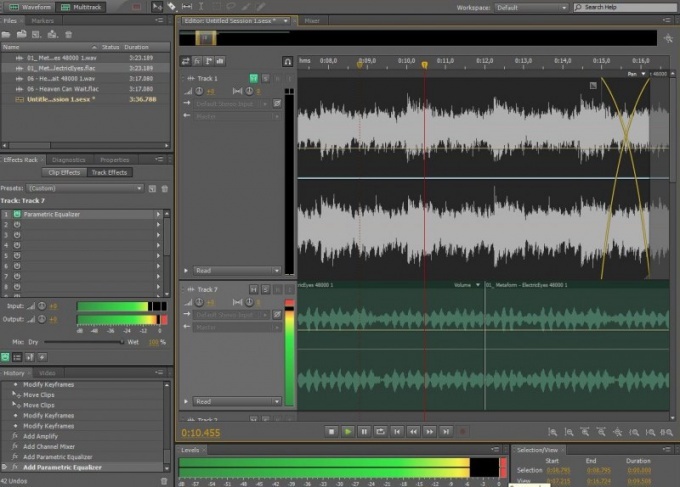 To do this you need a universal program for work with sound in Adobe Audition. Copy several times the desired track in the folder, naming four copies in different ways- the original, low frequency, high frequency and medium frequency. Download Adobe Audition, open the program and open four copies of your songs. After that, select the original track, displaying its audio wave. Click on the highlighted from the beginning to the end of the wave with the right mouse button, find it in the drop-down menu "Filters" and its subsection "Removing the Central channel. Opens a dialog to edit the parameters of the Central sound channel. "The Level of the Central channel, adjust the volume slider of the channel, moving it right and left, and then in the line "Setting discrimination" set the value of the width of the cut. From time to time, click "View" to track changes and modify the settings up until you are satisfied with the final result when listening. Click OK.
Open track with low frequencies and again right-click on the selected sound wave. Specify the menu category of "Scientific filters" and in the opened window select the tab "Butterwort". The cutoff frequency should be 800Hz. Like last time, you can track changes, listening to them click "Preview". Similarly, adjust the indicators to track high-frequency and medium-frequency setting in the "bandwidth" value of 800-6000Hz and cutting Central channels in all the remaining tracks. Get to removing vocals from soundtracks such effect that the voice has disappeared by itself, with no loss of quality instrumental and melody parts. Now you have only to create four edited by the frequencies of tracks of the multitrack. To do this, select all the tracks one above the other in the work window, to listen and validate. press Play and if you are satisfied, and is not required to rule EQ – save a multitrack into a single audio file on the computer. Typically, the backing tracks of the songs are created in recording studios professional sound engineers. But this service is quite expensive. A novice musician who cannot afford to pay for the creation of backing tracks , you can create it yourself on your home computer. First decide what way we are going to create it. You can pick up of each instrument by ear using the MIDI editor. But then on the MIDI track will have to substitute the sound of a VST instrument ("revive"). You can also create minus of the positive phonogram, erasing the voice with the help of special programs. Consider this method in more detail. It should be understood that to create backing tracks high quality, you must use only high-quality file-original. Therefore, the mp3 files should be avoided. Remove from the phonogram of the voice using Adobe Audition. Running the program, in turn, open all previously created backup. Opening all the Windows, start editing the track "original". To do this, in the left pane, double-click on the track name. Then under “Edit View” (Edits) and the waveform of the track allocated by double-clicking the left mouse button. Next, on the tab “Effects” (Effects) go to the “Filters -> Center Channel Extractor” to Extract the center channel) where you can choose a preset “Karaoke”. In this window, drag the slider of “Center Channel Level” you can change the volume of the centre. And with the “Discrimination Settings” discrimination), to adjust the width of cut. You can also select the desired preset. Now, click on the “Preview” button (View) to preview a record. And if you are satisfied, it remains only to click on the “OK”button. Sometimes the music in the song can be so emotional, so close that even want just to listen to her without words. Or sing to the tune karaoke on any occasion. However, it is not always possible to find the right "minus". In this case, it is always possible to independently cut the words from any song. The song itself and a special program (Adobe Audition or Vogone 2). Accurately cut the words from songs is hardly without a trace. For this purpose, special programs, music editors. This can better be done using special equipment, however, not always it turns out to be at hand. It is worth noting that none of the existing editing software is fully able to remove the vocals, especially without a trace. Therefore when editing, it's worth considering. Also all of them have a lot of disadvantages. It is worth noting that no program is able to remove reverbation (echo while recording), it must in any case remain.For remove words from songs lovers used the program Vogone Vocal Elimination Workstation. It suppresses vocals, removing or decreasing it at specific frequencies across the sound field. When editing, the format is WAV, so before working with this program, you should use a suitable Converter. Well with the conversion from MP3 to cope Winamp, or a simple program MP3 to WAV Decoder. 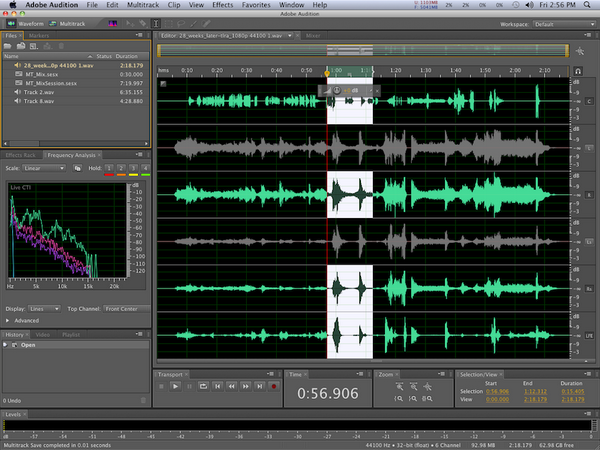 Good job with removing vocals Adobe Audition. It is a special item – remove vocals. It works with virtually any audio files. 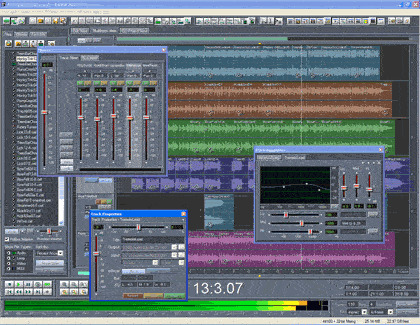 All necessary parameters are set to the corresponding settings (favorites – Edit favorites – Remove vocals – Edit). The program has many settings that rule should be empirically and individually for each composition. These programs can help in the preparation of the backing, but they do not replace the musical instrument, with which you can more cleanly remove the unnecessary vocals. This should be taken into account and one should not overstate the requirements for the computer music software. When the objective is "to mute voice in song", actually it means the following: a phonogram, with the recording of the song, you need to make when playing quieter heard the voice, musical accompaniment sounded unchanged. If you have a multi-channel soundtrack in which the voice in a separate track, you could use the same multi-channel playback, mute (and even eliminate) the voice without compromising the soundtrack. However, what if the voice of the soloist and the sounds of the musical accompaniment is reduced to two sound track stereo? First of all, check whether you can just "press" the most convex frequency voiceand EQ without prejudice to the soundtrack as a whole. However, keep in mind: the human voice, apart from volume (which you need to "mute"), has a complex frequency range – singing intonation can capture frequencies from 200 Hz to 8 kHz. In this same frequency band is usually found and most of the sounds of the musical accompaniment of the song. Therefore, equalitymaine will only be effective if with the voiceof om do not mix important elements of music. If you are lucky, then you take the track, run it through a spectrum analyzer and produce frequency peaks in the range of 300 – 900 Hz. After which, while playing a good multiband EQ these peaks mute. Thus the problem is solved; however, this is not too common and therefore will have to move to the next stage. Allocate a voice (possible while keeping losses to a minimum) in a separate track, then use a well-known effect of protivogaz – since sound is a wave, then the addition of the direct and inverted sound gives zero. Technically, this is implemented as follows. First voice - "cut" of the soundtrack, in several passes, narrow-band frequency filters and denoisers. Are then allocated (as possible) the voice is recorded in a separate track. And finally, the original soundtrack and dedicated voice simultaneously are run through a so-called comparator, in which the original soundtrack is supplied to a direct input, and the selected voice on the inverse. Inverted voice gets in phase with the original on the soundtrack; after playing with the parameters of mixing in the comparator, the voice of a soloist can end up somewhat muted. After which the result is written, the soundtrack is played back at normal zvukovosproizvodyaschuyu equipment. 1. The described method requires a fairly high-quality instrument-level good "home Studio", some special knowledge and sensitive ears of the sound technician. 2. A simple way to "muffle the voice" in stereotomography does not exist. 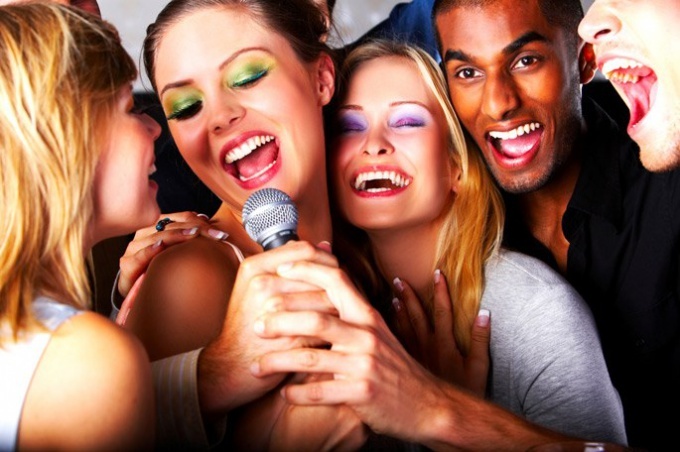 Care should be taken to treat known among fans of karaoke methods of "removing the Central channel and the like due to the risk of spoiling the soundtrack as a whole. To learn how to sing beautifully can even those who have never studied music and does not know notes. To become a professional singer, it is better to find a good teacher. But singing to yourself or you can learn very, good modern technical tools provide a lot of opportunities. First of all you need to learn how to take purely different sounds, that is, to control his voice. - a collection of breathing exercises. Pay attention to how you breathe. Too many people taking a breath, pushing his chest. Meanwhile, the singer is necessary that the air column relied on the diaphragm. Try to breathe so that the fin remained motionless, and the diaphragm lowered. Control himself, his hand on the side of the waist. Repeat this exercise several times a day. Learn how to sing one sound. Listen to what height gives you the tuner in a particular position and repeat. First, sing along with the tuner. Listen carefully to yourself and control. If you think that you have it does not work, sing a sound, record your voice in any audio editor and then compare it with the tuner. Having mastered one sound, sing 2-3 consecutive. Find online notes of any scale. If it is a file with extension gtp, it at once you can open in Guitar Pro. Maybe need part of the range to be rewritten. Select the piece you will be able to sing freely. Sing all sounds in one breath. For this you need to learn how to do a short but deep breath and slow exhale. Gradually master the whole gamut. When driving up to take your breath at the beginning of the octave, after the fourth stage at the end. In relation to the range of C major this is the breath before the first octave, after FA and then to the second octave. When singing a descending scale, the second breath will come after salt. Try to distribute your breath evenly so as not to choke the last sounds. Over time you will learn to sing in one breath the whole range and even more. Pick a song you know well. It can be open in the same program, listen to and try to sing. 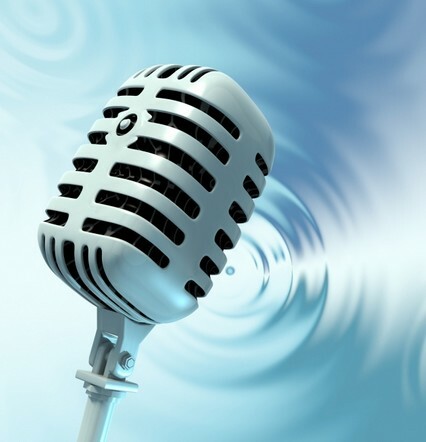 Record your voice, listen to the performance and compare with the melody that gives the program. If you've learned a bit to play, for example, the guitar - find tabs for this song, learn the chords and sing to her own accompaniment. Record and listen to. Select a song sung by the popular singer. Better if this song has you at the hearing. Put the record and sing along, not forgetting to take a breath in the right places. As a rule, you should breathe in between phrases, so choose a song with clear phrasing. Sing it without accompaniment, record and compare. Don't forget to adjust the places that you do not like. After each "work on mistakes" record your voice again and listen. Quite often the organizers of children's parties and other events are faced with the same problem: the words of the song need to be separated from the composition, need only music. To cope with this challenge will help a program that separates words from songs music. - a personal computer with access to the global network. Download Adobe Audition and install it on personal computer. After create, for example, on the desktop separate folder and place in music that will handle. Name them: original, high, low, average. Start Adobe Audition and open to all musical compositions. Begin editing of the track "Original". With this purpose double click on the song title that appears in the left part of the window, resulting in the "View edits" will appear wavy marking of the track. Select the wave by double-clicking on the field with her picture, and then on the screen appears "Removing center channel". With the help of the regulator, "Central channel" to adjust the volume of the track, and by "Setting discrimination" indicate the area of the cut. Do not rush immediately to cut: first, listen to what you got to do this, click "View". If you listen to the song on the sound quality you are satisfied, click OK and the program will finish the work on the track. Treat the following composition, for example, low. Then choose filter "Waterford" and run the option "Skip down". Then review what happened. By changing the frequency to get the perfect option: the voices are not heard and music is not lost. After cut the track in parts, sexywhite all these parts into a single file: go to the tab "Multitrack" and drag each processed file to your track. Put all songs on the beginning, so you can hear their sound in unison. If the setting you want, click in OK.
Download Adobe Audition 1.5 only from the official website! If the end result does not suit you, fill in the missing, in your opinion, the musical instruments by hand. Minus – the audio recording of the song, which removed one party (track), most voice. In rare cases, "minus" is done without drums, bass guitar or other solo instrument, depending on the purpose and specialization of the speaker of the musician. Creating backing tracks – work of the sound engineer but also musician can make a quality recording. - Studio equipment for recording. There are two basic ways to create backing tracks. The first, more simple, allows you to make a minus of already recorded songs. This option is suitable for performing songs written by other composers. The sequence of operations is minimal. 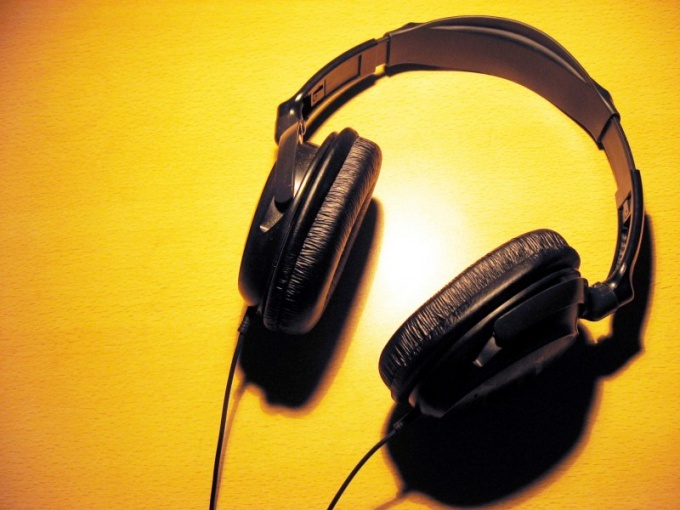 Upload audio songs in any audio editor. 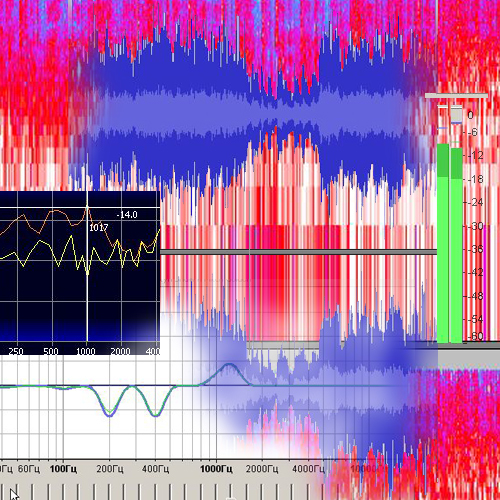 Sound engineers often prefer programs like Audition, Cubase, Sound Forge, Audacity less. Choose the application that you clearer and closer. By means of a program or the additional processing means cut the MIDs of the track. There, usually, is the vocal. The algorithm of actions varies in different editors. Listen to the result to ensure success. The disadvantage of this method is that either the voice does not disappear completely, either with him disappears a number of parties of the accompaniment. In the end, the accompaniment sounds or muffled voice, or with a certain emptiness. The second way of recording backing tracks, record from scratch. It is a little different from the normal recording track, the only difference is the lack of party vote. When recording backing tracks from scratch great attention is paid not only to equipment but also to the acoustic properties of the room for recording. As a rule, meets all the requirements of a professional recording Studio: amplifiers quite clearly convey all the shades of sound, the walls have good sound insulation, sound can with a sufficient degree of professionalism to control the process. The order entry tools traditional: first drums, then bass and the rest of the rhythm section (for example, rhythm guitar). Then, Yes, from low to high. After that, the sound evens out the volume of the batch, removes noise and makes tracks to a single track. Detailed description of the entry lists the link under the article. Say, from the song words can not erase, but in fact to remove the word from an audio recording possible. There are several programs that will allow you to easily remake the song in a minus one. To make of the song minus you can use a music editor Audacity. If this program you have not, then download and install it on your computer. Run the editor and click the "File" tab in the window that appears, select the desired recording and click "Open". After opening the music editor will transform the recording into a spectrum of peaks. Then in the control menu track click the command "Split", so the track will be divided into two channels – right and left. The sound in both tracks match, in turn, for each channel select "Mono". When the audio recording is divided into two channels (top music, a lower voice), select the bottom channel, click on the tab "Effects" - "Invert". In the main menu click "Play" and listen to the resulting negative. If the result satisfies you, then scroll to the track and via the menu "File" by selecting the desired format, save minus one on your computer. 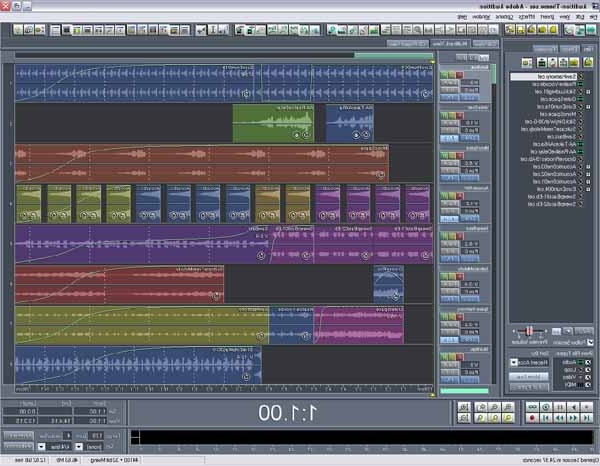 Also to remake the song in a cell using the SoundForge program. Download the program, install it on computer and run it. Transfer the audio to the editor in the control menu, click on the tab "Processing" - "EQ" - "Graphic". In the opened window you need to select EQ mode display Band 20, as this mode has the maximum number (20) of the levers change the sound. Now you need to remove audio from a voice that falls in the middle of the equalizer (lever 7 - 16). The lever 11, in the middle of the EQ should be lowered to the bottom, and the levers 10 and 7 in line with the buildup to the lever 6, also to do with the levers 12 and 16, gradually building them for the buildup to the lever 17. When the levers equalizer installed in the correct order, click the "Preview" button so you cut out the voice frequency and will automatically listen to the resulting composition. If you are happy with quality backing tracks, click the menu "File" and save the track in the desired format on your computer. The sound of the recording in the suppression of the voice can significantly be affected, if the source audio is of average quality, to avoid this, choose the original best quality. Music has always been one of the favorite pastimes of people. The advent of modern technology has provided a new round of development and music composition. Now anyone can find the soundtrack online, sing your favorite song, and more advanced people can even write your own composition. If before soundtracks were recorded in studios using special equipment, but now they were replaced by the computer and specialized programs. That is why today the network can find a large number of different backing tracks of popular songs that you can use to interpret the art of your favorite band or singer and to entertain the guests at the party. In order to find the soundtrack to a favorite song, you will need to enter the name of the song and artist and add the word "minus". The search results will please you – you will see hundreds of different backing tracks of the songs (good and not so, with an audible backing vocals and without). All you need to do is download the song to your computer. When choosing a College you should pay attention to some of the parameters. For example, it is best to choose a soundtrack, which will not have any significant differences with the original version. When choosing a cell, it will be easier to sing, and in the case of hitches, it is easier to find the place where you stopped. The use of accurate backing tracks will also help you memorize the song, performance style and vocal line. Before singing the song cell best to listen to the original version of the song in order to determine the movement of a melody of voice, to determine pauses in the singing, be trained to do the vocal ornaments (Blues intonations, etc.). After listening for some time the original version of the song, you will be able to confidently navigate while singing cell. 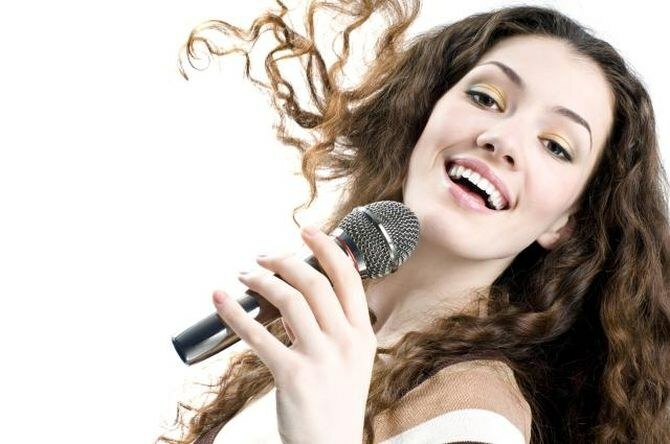 For training you will need a couple of times to sing the song, accompanied by the original – so you quickly memorize the vocal part of the song, feel confidence without voice "support" of the singer at independent performance. Before the singing at minus listen to the song "without a voice" several times. You can also sing along to remember the melody. Usually a pause in the vocals are characterized by instrumental lose – it will be a sort of hint (however, this principle does not work in the songs written in the style of "progressive"). Try again minus and more or less confident to sing the whole song. Let first you will not be able – with some practice, you will achieve a good result. Do not worry and do not think that you will never be able to sing like your favorite artist. Everything is in your hands!